Living… in New York City. His nickname growing up was Kay, but he's also known as Agent K.
Profession… agent. 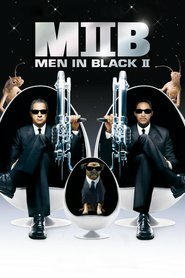 Kay works for the top-secret government organization, the Men in Black (MIB), that specializes in the regulation and policing of extraterrestrial life on Earth. It’s their job to protect citizens from dangerous aliens and make sure nobody actually sees an alien – or else they have to use a neuralyzer on them to make them forget what they’ve seen. Relationship Status… separated from his wife. Kay gave up his wife to fully dedicate himself to his work with the Men in Black organization. Almost all the agents must give up their personal lives, as the MIB organization demands, “You’ll conform to the identity we give you, eat where we tell you, live where we tell you.” Kay just couldn’t keep a stable relationship with his wife without revealing his big secret. Challenge… saving the Earth before aliens blow it up. Recently, aliens have been leaving Earth in droves. Agent K and his new partner Agent J investigate, and discover that there’s an alien war brewing. On top of this, an entire galaxy has disappeared. 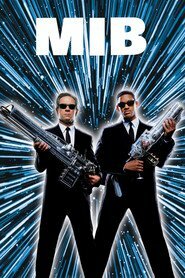 Now, one race in particular, the Arquillians, are demanding that MIB recover the lost galaxy, or they’ll blow up Earth. Personality… no-nonsense, serious, and devoted. Kay gives his whole life to his job and doesn’t joke around about it, which makes him one of the best agents around. He’s a hardened and professional veteran who knows how to deal with even the most bizarre and dangerous alien creatures, and he sticks to the rules religiously. His humorless demeanor, however, often puts him at odds with his new goofball partner, Agent J. Agent K's popularity ranking on CharacTour is #1346 out of 5,000+ characters. See our top-ranked characters and read their profiles.